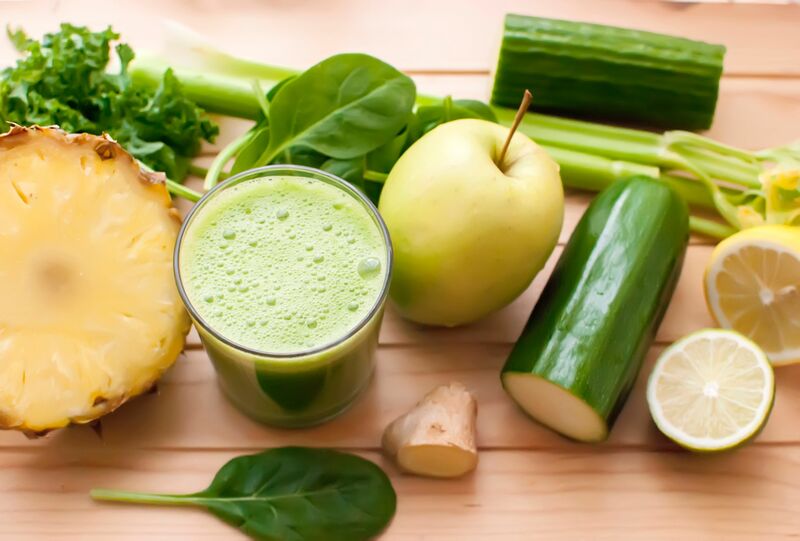 The Why, Who, How, When and Where of juicing. And Exactly What is a Cleanse? Juicing is one of those things that drives ordinary people to write books and preach at the rest of us. I read their books, I met people who lost tons of weight and changed their lives, I read the studies about cancer and looked for the inconsistencies and poor statistics. Still, I was deeply skeptical. One day as I was flying to one of my Obesity conferences, I had two minutes to pick up a snack before boarding. The only place available with no line was a juice bar. I walked in and ordered the least likely thing to make me barf while trapped on a plane with 200 other hapless passengers. I started drinking cautiously. It was drinkable but not delicious. I was on a plane for 5 hours and that little bottle of juice filled me. I was truly not hungry. My mind was spinning. See, when we eat sugar, we get hungry 20 minutes later. It's why we eat all the bread at a restaurant and we don't really spoil our appetite for the gigantic meal that follows. That didn't happen with the juice. The fact that I wasn't hungry opened my mind just enough so I could look at things with less skepticism and allow the possibility that those juicing fanatics might be on to something. I sought them out, I bought more books, I joined a master juicer in London. I learned, learned, learned. So, what about the fiber? Well, fiber is actually divided in two kinds: soluble and insoluble. The soluble is still in your juice. The insoluble is out if you're cold pressing. And you are missing that. But a lot of the nutrients of vegetables are not absorbed because they're in that very same insoluble fiber. They go right out of you. Cold pressed juices have many more nutrients than the veggies in your salad. You would have a hard time eating the amount of veggies to match the nutrients in one juice. And the speed at which it gets absorbed, well that's "IV mainlining" vs "slow release tablets." And it's that feeling that gets addicting. Because, you actually can feel it. You can request the fiber from your juice and enjoy a surprisingly delicious "veggie burger patty" later. Why juice? to increase the amount of nutrients in your diet. To cleanse your palate of junk food. Juicers start to develop an aversion to junk and a preference for fresh food. They actually upgrade their taste buds. They stop craving chips or cookies. Their "fix" becomes wheatgrass, spinach, kale, apple, and ginger! Who should juice? Everyone except people who are immunosuppressed, pregnant women or newborns. In other words, people who shouldn't eat raw food or be cautious. That's the FDA warning and I'm going to stick to it. The reason? vegetables might contain bacteria and the juices are not pasteurized. When should you juice? Go slow, start low. Don't start out with a 30 day cleanse. Try a one or two day. Repeat often and start adding days as your body gets used to it. Plan your cleanse for a weekend or a day you're not very busy and can stay home. After you know how you respond, you can incorporate it into your normal life. Where? It's a really bad idea to order your juice from a juicery in another city or state via the internet. Yes, people do this! No matter how good their reputation or marketing skills, a juice is only as good as its freshness. Don't pick up your juice at a store. It has been sitting there for days. I stopped by a popular juicery in Honolulu where they make hundreds of juices in just 1 hour. I must admit, I had a little machine envy. That was short lived. I asked for a fresh juice. They said, no. They can only make 100 juices at a time! I passed. Insist on a fresh juice. Ask questions... Is it organic? Is it Cold Pressed or do they use centrifugation? Is it pasteurized to be amenable to shipping and selling in volume? The very best juice is made on the spot where you drink it and at the time that you drink it. It is Cold Pressed, ideally with the clunky, unwieldy but still gold standard, the Norwalk juicer. It's made with organic produce so no chemicals get accidentally ingested. And it really should taste good, or you might not drink all that goodness. A cleanse? is exactly that. It's a reset. A pause. It gets rid of the preservatives and chemicals in your food, if only for a day. It works best when it becomes what you do on Sundays, or that first weekend of the month. Maybe one day, it's what you do every January for a whole month.